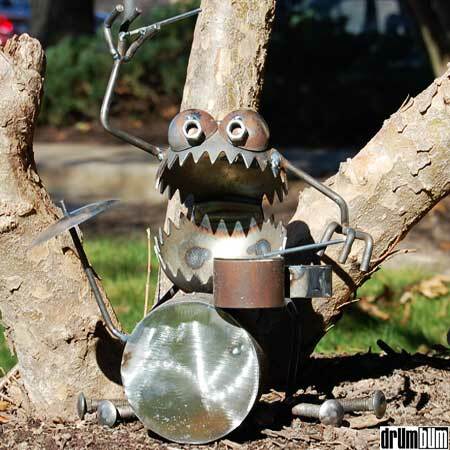 The next time you hear someone say, “He’s a monster on the drums!”, they might be talking about this guy. Looking for the coolest drummer gift on the planet? You’ve found one! This sucker is 12″ tall and made from rock-solid metal. A great work of art for the home or garden. Any drummer would be proud to own this conversation piece. Music from a car. Playing drums in a car and on a car.